He is No. 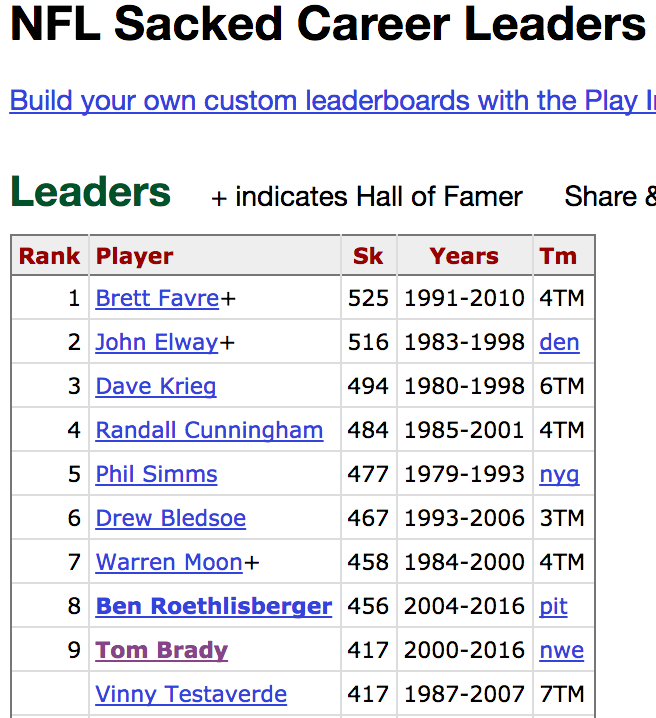 8 all-time and ahead of TB12. A guy who came into the league and was starting 3-4 years before him. 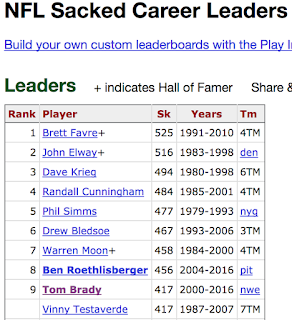 The next closest guy is Phillip Rivers who came into the league the same year as Ben, but he resides in the 20's and 300 range for sack. All that matters for Steeler Nation is Ben is committed for the year, which means the Killer B's are back with Ben, Brown, and Bell heading the offense. Bad news, based on that tweet saying, "Steeler Nation will get my absolute best!" sounds like a guy who is giving it his all one last time. Take it all in Steeler fans, because I have a feeling the clock is about to toll on Big Ben's playing days.